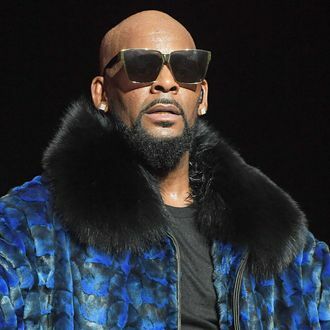 In the midst of continued sexual abuse allegations piling up against R. Kelly — so many that his publicist, assistant, and lawyer have quit — Lifetime is producing a docuseries and film that will revolve around additional women “emerging from the shadows and uniting their voices to share their stories” about the rapper. Lifetime is describing the untitled series as a tell-all led by survivors and former members in R. Kelly’s inner circle, who will come forward “with new allegations about his sexual, mental, and physical abuse.” The untitled film, meanwhile, will focus on “the secretive inner world” of R. Kelly, and how he’s been able to maintain his prominence in the industry despite these numerous allegations. No premiere dates have been set by the network yet.